Despite decades of investigation, we cannot predict, prevent, or adequately treat the most common and deadly complications of pregnancy, including pre-eclampsia (pregnancy-induced hypertension). The current working hypothesis for the repeated failures of several multicenter studies that measured a wide variety of biomarkers is common pregnancy complications like pre-eclampsia are most likely heterogeneous syndromes with various etiologies; therefore, no combination of blood-based biomarkers will provide predictive power. Although the clinical syndrome of pre-eclampsia may have various causes, the current dogma in most cases shares similar placental pathology, including accelerated chorionic villous maturation and increased frequency of malperfusion-related infarctions. This pathology is thought to begin in the late first trimester of pregnancy. The challenge has been to develop an approach to monitor placental health throughout pregnancy. New contrast-enhanced imaging studies of blood flow to the placenta are providing insights, but rapid liquid-based assays using maternal blood would be more cost-effective. 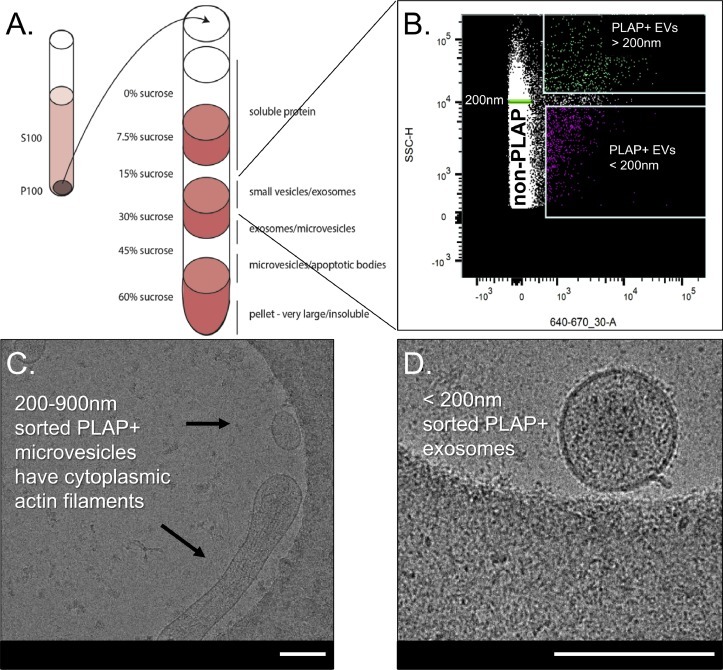 Recently, there has been a growing interest in placental extracellular vesicles (EVs) to determine if these complex lipid-based spheres involved in intercellular communication may offer clues to the early pathophysiology of placental damage. Most EVs are nanoscale-sized exosomes (∼60-120 nm) that retain cell-specific plasma membrane surface markers. Their concentration, composition, and relative size distribution may provide clinical predictive power, but more investigation is needed. An obstacle to advancement in this field has been the lack EV imaging and isolation assays that can provide both cell- and size-specificity. Nanoscale multiplex high-resolution flow cytometry now being developed in a number of laboratories may provide a means to quantitate both cell- and size-specific EVs from various sources, including the placenta.